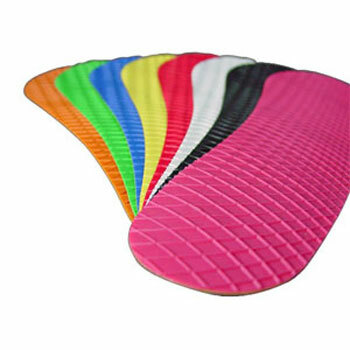 Blade Tape utilizes a durable rubber surface material with simple peel &apos;n&apos; stick technology and it easily applies to both the front and back faces of your hockey blade. It offers both improved feel and performance on the ice. better grip on the puck...you can now have a backhand too! no more frozen snow and ice build-up - BladeTape repels frozen water! Everything else in hockey has gone &apos;&apos;hi-tech&apos;&apos; recently....isn&apos;t it time for hockey tape to evolve with this movement too?